The purpose of this application note is to teach you how to setup an Aquatrac controller so that you may communicate with it from a remote location. Remote communication example: You have a Multiflex Tower controller installed at ACME University, but you have no way of connecting to that controller from a remote location such as your office or home. Furthermore, you have made a request to the IT department of ACME University to setup a VPN, WAN, or phone line so that you may be able to keep tabs on the controller without the need of being physically at the site location and, for one reason or the other, the IT department rejected your request. The example above is a very common problem that can be solved relatively easy using wireless technology; namely EvDO. To be clear here, the wireless technology we are speaking of is wireless broadband Internet access - not to be confused with a wireless local area network that is commonly used in homes and small offices. Being that there are multiple brands of EvDO Data Cards and EvDO Routers, this application note will focus on one data card and one router only. This does not imply that you must use the devices that are discussed here to implement wireless communications with Aquatrac controllers. You can choose to use any EvDO equiment that works best for you. When choosing your data card and router, you must make sure that they are compatible with each other. Typically, the router manufacturer will have a list of compatible data cards that it supports. That being said, if you follow this application note, you should be able take the concepts that you learn here and apply them to any data card and/or router that you decide to implement. Furthermore, for brevity, we will also limit this application note to referencing the Multiflex controller for the wireless setup. However, any Aquatrac controller that supports Ethernet will work with the EvDO solution. As was previously stated, this application note will use the Multiflex controller as the example controller for setting up the EvDO wireless solution. The Multiflex controller is the ideal candidate for this application note since it supports both Web Browser and Trackster 3 support - this fact will come into play when we get into setting up the EvDO router. The only hardware requirement that is necessary to have installed on the Aquatrac controller is the Ethernet option - In other words, if your Aquatrac controller (whether it be an Aegis, Multiflex, Microflex, SmartFlex, etc) has an ethernet port (aka CAT5 jack) on it that allows you to plug in an Ethernet cable, that controller will work with the wireless EvDO equipment. 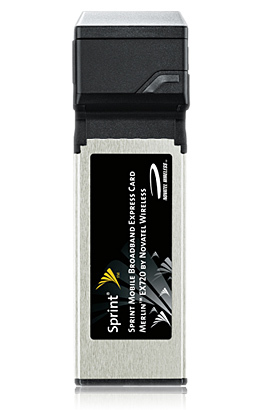 Although you can use any EvDO Data Card that is compatible with the EvDO Router, the EvDO Data Card that we will be using for our example is the Sprint Merlin EX720. Regardless of the data card that you choose, the setup and intialization will be virtually the same as will be specified in this app note. Regarding data card compatiblity, it is worth mentioning that every EvDO Router out there in the market will support a limited number of different data card models. To determine which data cards are compatible with your router, you will need to refer to the router's instruction manual or contact the vendor. Another important point to make regarding data cards is; before you choose a data card you will need to determine which EvDO Provider you are going to sign up with - i.e. Verizon, Sprint, etc. The reason for this is, each EvDO Provider has their own set of data cards that they work with - no different than the way wireless providers have their own set of cell phones. In fact, a data card is nothing more than a tweaked cell phone - the data card even has its own phone number! 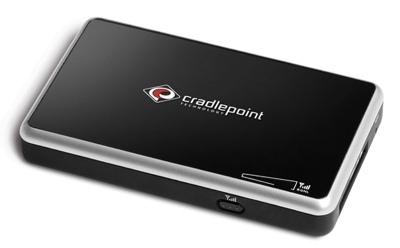 The EvDO Router that we will be using for our example is the Cradlepoint CTR500. 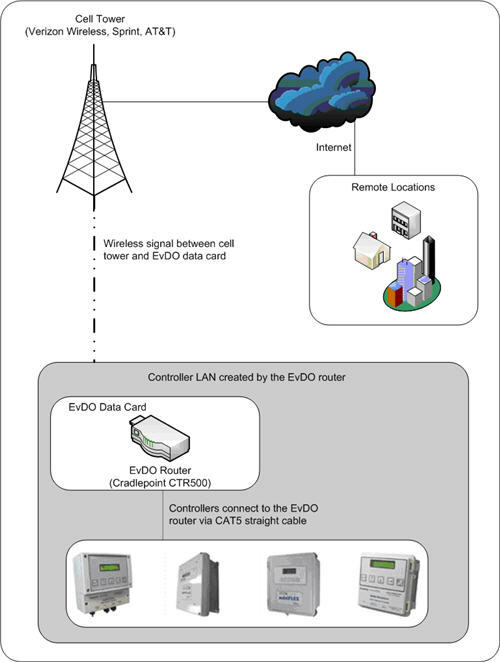 The EvDO router is what the Aquatrac controller will be plugged into (via Ethernet cable) as well as the data card. The way this works is, the data card is the device that brings in the wireless broadband signal and the router is the device that creates the network (LAN). Any device that is plugged into the router will have access to the Internet.